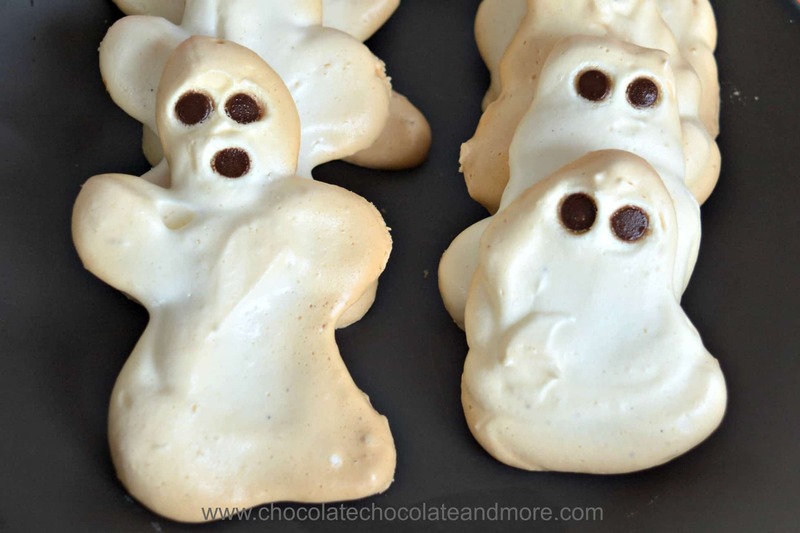 Ghost Meringues - Chocolate Chocolate and More! 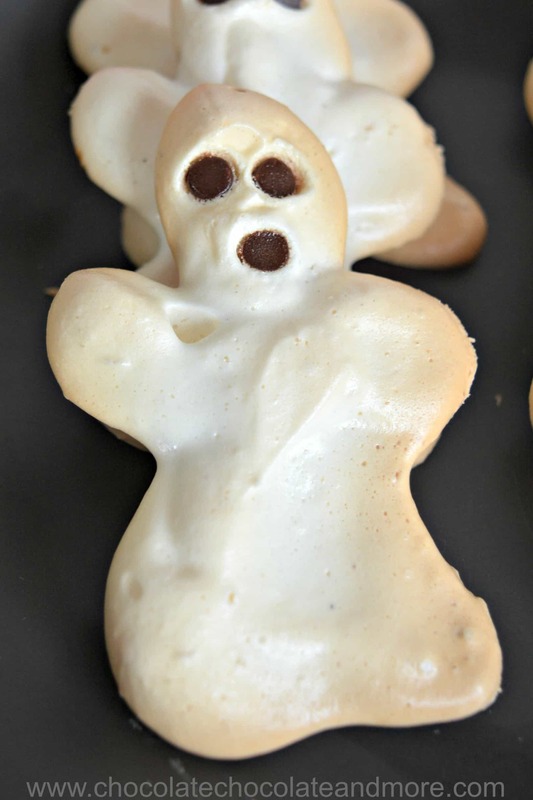 Ghost meringues are an easy treat. 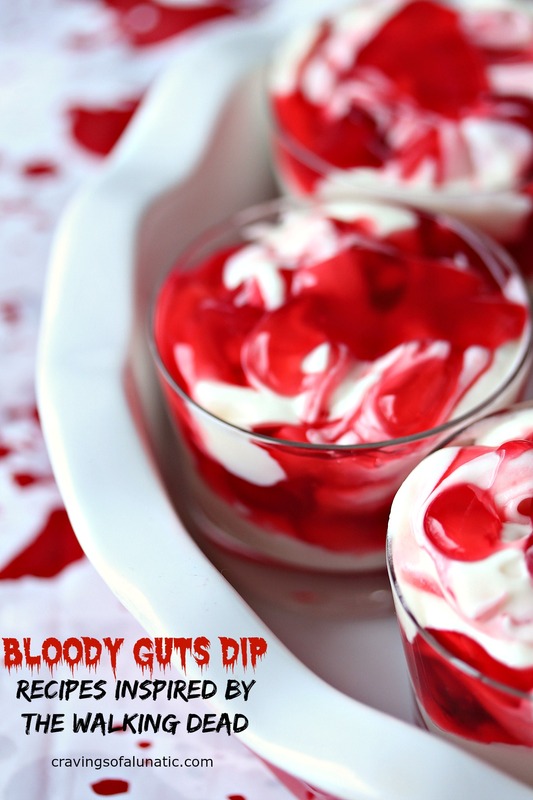 Make a batch for your Halloween party. Halloween is coming. It’s always fun to see the kids in their costumes. I miss making costumes for my kids. I realized pretty early that homemade costumes were cheaper than store-bought. And, the costumes I made were more sturdy so my kids could play in them for years afterwards. My sons kept their knight costumes for years and Becky had a complete collection of princess costumes. Making costumes for three kids didn’t leave a lot of time for other Halloween preparations. 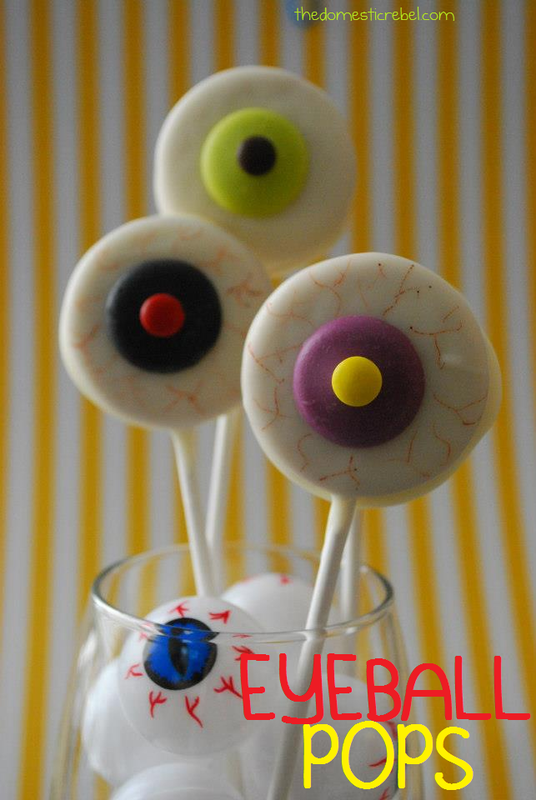 I usually brought simple treats to my kids’ Halloween parties. 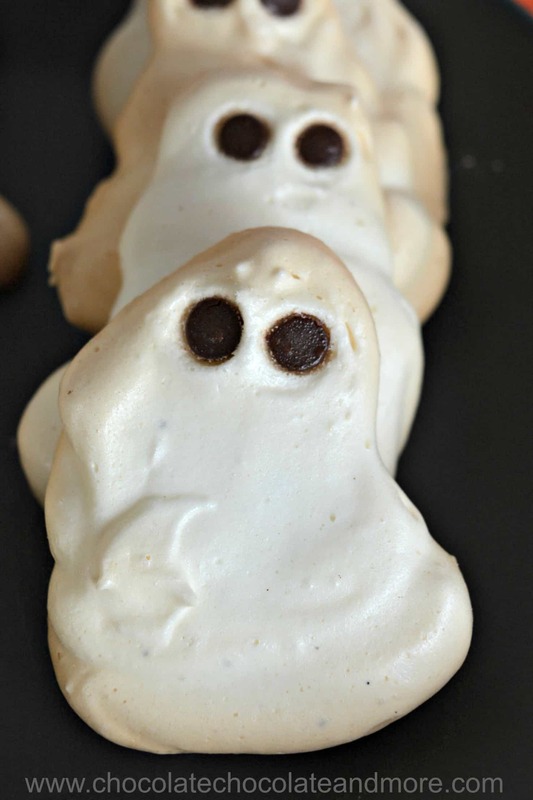 Like these ghost meringues. 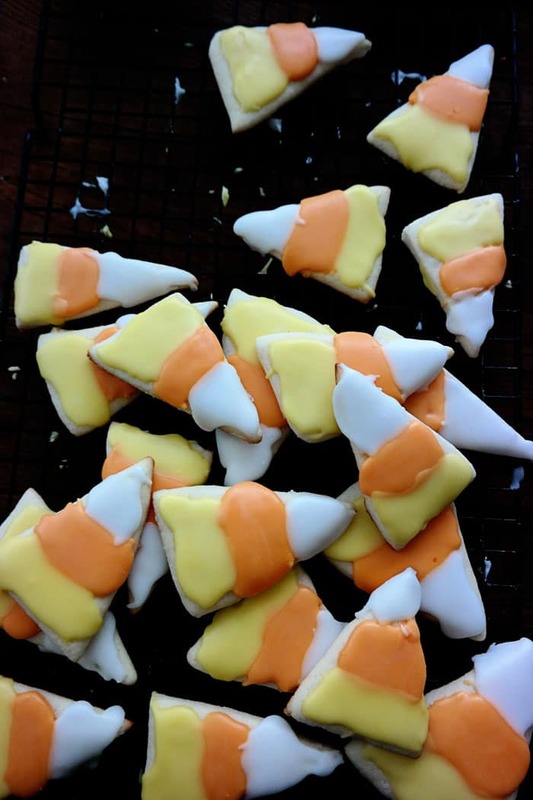 I piped meringue triangles for some of ghosts. I also piped some people-shaped ghosts for sun. 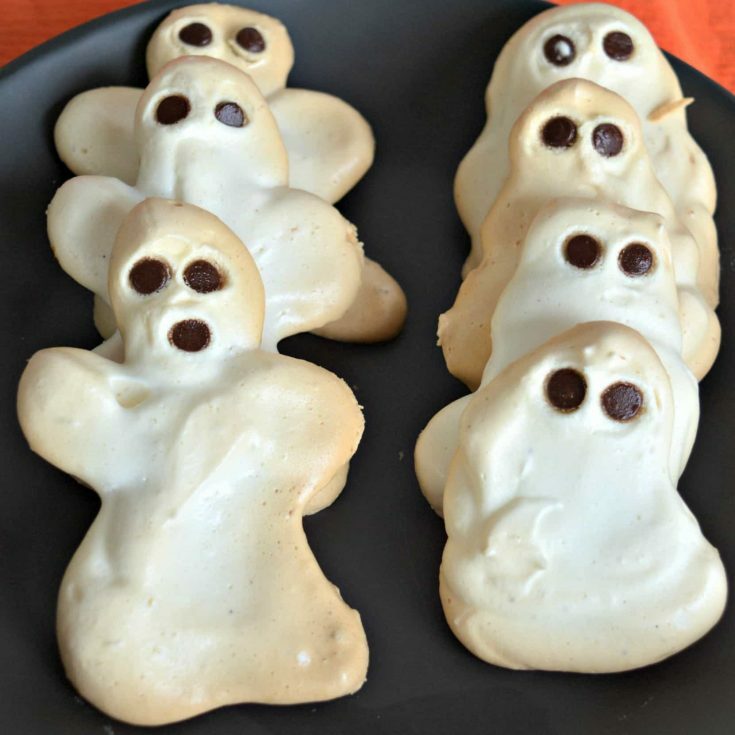 You could spoon some meringue onto the parchment and use the spoon to spread the meringue into ghost shapes. Mini chocolate chips worked perfectly for eyes and mouths. I put them point down so the bottoms faced the surface. This gave me flat circles and it helped the chocolate chips stay in the meringues better. The meringues are not very big. The blobs are about three inches long and the ghost meringues with arms are about 4 inches long. The great thing about ghosts is they don’t have definite shapes so you can get creative. The other great thing about meringues is after you dry them a bit in a low temperature oven, you turn it off and wait. If you live in a dry climate, you can make these at night and just take them out of the oven in the morning. Here in Cambodia, it’s so humid I needed to store the meringues as soon as they were cool. Ghost meringues also freeze well so you can make them whenever you have leftover egg whites. Line baking sheets with parchment paper and preheat oven to 225°F. Beat egg whites until frothy. Add the cream of tartar and then beat until soft peaks form. Continue beating as you sift in the powdered sugar and vanilla bean powder. Beat until stiff peaks form. Spoon meringue into a quart sized plastic bag. Cut the corner of the bag and pipe ghost shapes onto the parchment. 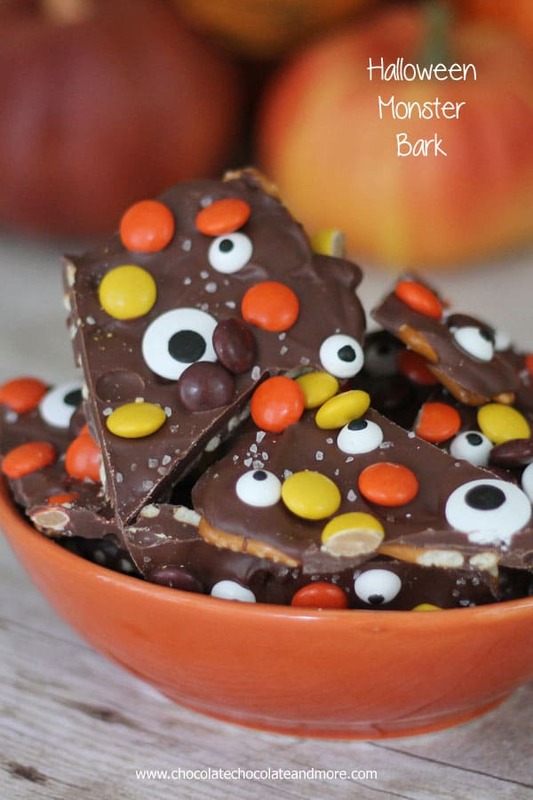 Decorate with mini chocolate chips (put the point side down, flat side facing up). Bake at 225°F for 25-30 minutes, then turn off oven and leave in oven for an additional 2 hours. Remove from oven and let cool completely. I used vanilla bean powder to keep the ghosts a little more white. You can substitute vanilla extract if you don't have vanilla bean powder.